Receive 20% discount if booking 60 days prior to arrival on all room types, all year round. Get Free Upgrade from B&B to Half Board in Summer 2019!! Mirihi is located in South Ari Atoll and reached from Male Airport by seaplane in about 30 minutes. 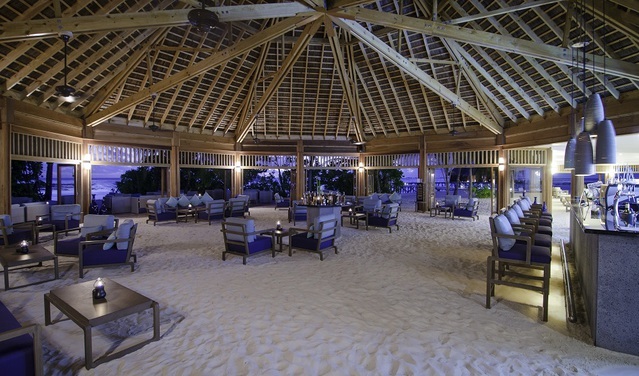 It is a delightful island with fantastic beaches and gives you the feeling of being on a private island. Because most of the accommodation is built over water there is plenty of space despite the island being small. At the arrivals end of the island there is a huge expanse of sand. The beaches at each end and on the south side are magnificent and unspoilt by groynes. Being very small it takes no time at all to walk from from one side to the other or from the reception area to the water villas. This is most certainly the type of resort that you can come back to time and time again when you need to recharge the batteries. Perhaps the only thing missing that would make Mirihi even better is a swimming pool. However given the wonderful lagoon and beaches this can be forgiven. Being very small Mirihi is not the sort of resort you would visit for its land based activities. However there is a fully equipped state-of-the-art fitness centre for those who like to keep in shape or work off the pounds collected in the Dhonveli and Muraka Restaurants. Other popular activities include beach volleyball, badminton, table tennis, darts and a variety of board games. Take one of the ocean kayaks and paddle around the island. For windy days there is a complete range of windsurf gear available suiting everyone from beginner to expert. Catamaran sailing is also available. 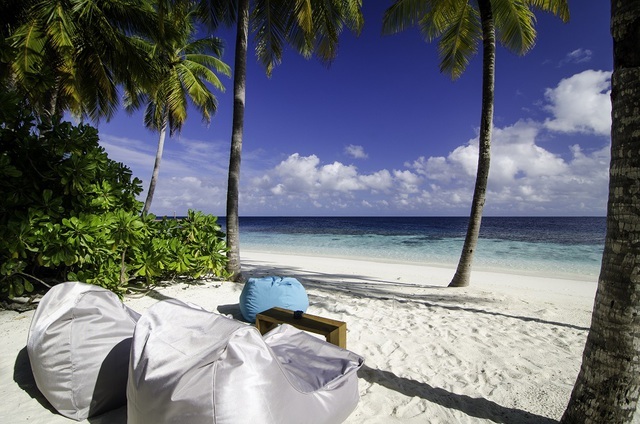 The use of watersports equipment is complimentary to all guests at Mirihi. 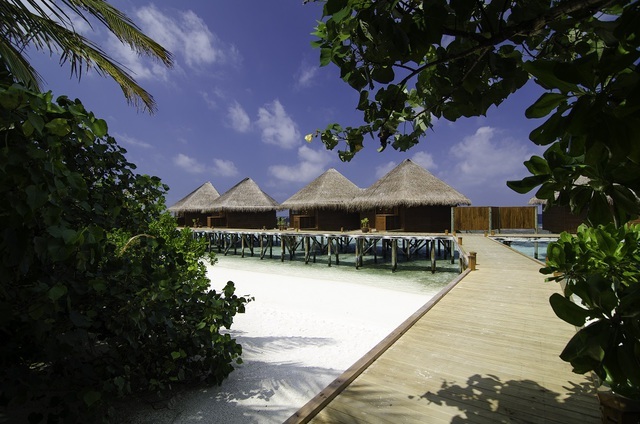 Diving is a priority for many guests and a great reason to visit the resort. The Dive Centre caters for all levels of divers from first time wishing to learn the basics to experienced divers wanting to fine-tune their techniques. 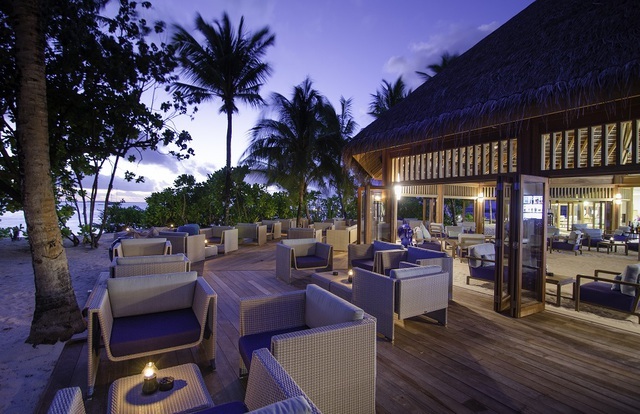 Situated in South Ari Atoll and with over 40 dive sites in reach and a multi-lingual team, every guest gets personal service. This is an excellent resort for watersports and an ideal environment for novices given the small size of the island. 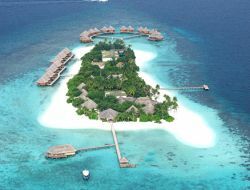 It has a wonderful lagoon with one of the best house reefs around plus all the watersports to go with it. If you are looking for relaxation and pampering, visit the Duniye Spa which offers a range of treatments to de-stress you. For that extra special memory enjoy an Adam and Eve treatment, a couple massage followed by a bottle of champagne on your private balcony. The accommodation here is also fresh and to a very high standard. 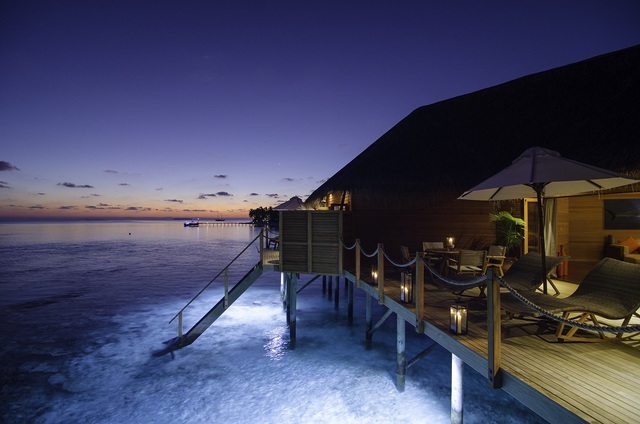 Of the two sets of water villas the ones at the east end enjoy the sunrise whereas the ones facing north dont tend to capture the sun on their verandas. In addition to a great set of facilities, Mirihi can also offer a selection of excursions to take you off the island including sunset cruises, island hopping, snorkelling safaris and visits to local islands.